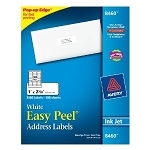 Office labels: Click-N-Ship labels, Mailing labels, Shipping Labels, Dayglo Labels, and Foil labels. Shipping tape, boxes, markers, postcards, memory cards and storage cases for memory cards. Click here to view our cross reference chart of popular office, mailing and shipping labels.